DenyAll Vulnerability Manager is designed to help auditors, IT and security teams assess the security of their IT infrastructure, including web applications, and manage their vulnerabilities using comprehensive dashboards, reporting and remediation tickets. 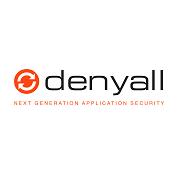 DenyAll Vulnerability Manager helps our customers identify vulnerabilities, in order to adjust their defenses and continuously improve their security. Built on an innovative technology platform, this software provides automatic asset inventory, comprehensive testing and efficient reporting, on a wide variety of security issues including web application development, OS, DB and network patch management and configuration. DenyAll Vulnerability Manager centrally manages vulnerabilities within your IT architecture, so you can keep your security information in your private network. Provided as a pre-installed virtual appliance (AMI, Amazon Machine Image), DenyAll Vulnerability Manager offers advanced monitoring dashboards and actionable reporting capabilities, full discovery and testing automation and an integrated ticketing system for remediation follow-up with developers, IT operators and administrators. Comprehensive network testing: Denyall Vulnerability Manager embeds tens of thousands of plugins to accurately assess the patch management and configuration of your infrastructure. Advanced web testing: crawls complex web 2.0 applications and runs a large set of tests including SQL injection, XSS, file inclusion, directory traversal, misconfiguration, CSRF.